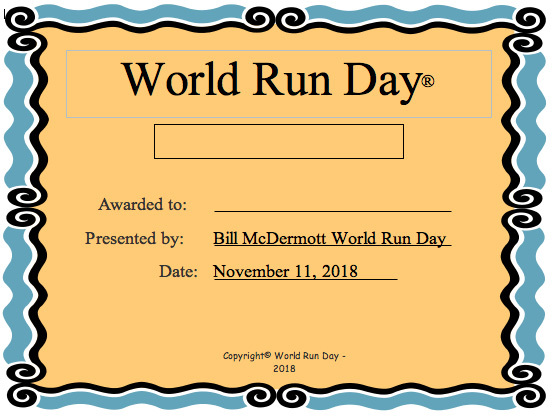 The World Run Day Certificate is bestowed upon those who complete the World Run Day Event. Oftentimes, adult runners frame this keepsake item as a reminder of the day. In other instances, school children, club members, or any group who participates is awarded the certificate of completion. Underneath the words World Run Day is a box that can be used as desired. In some cases it can be the name of a School, Club, or Group that participates in the World Run Day Event.